The 45-year-old ventriloquist from Dallas won Season 2 of "America's Got Talent" in 2007, its M grand prize, a five-year 0M deal to headline a Vegas show, and has now won his girlfriend's hand in marriage, according to People. 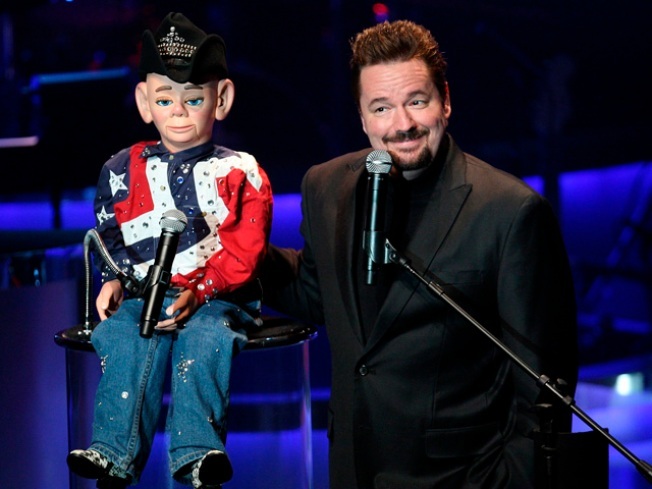 Terry Fator is on a winning streak. Terry wed Taylor Makakoa, 21, on Wednesday afternoon at Lily Of The Valley Chapel in Las Vegas. Taylor stars as her new husband's stagehand in his Sin City show at The Mirage, and is also a model and actress. "We are so happy and looking forward to spending the rest of our lives together," the couple told the mag in a statement. Taylor seems to have snagged quite a prize – the notoriously sharp-tongued Simon Cowell ("America's Got Talent's" executive producer) dubbed Terry "one of the most talented people on the planet" in a 2008 appearance on "The Oprah Winfrey Show."